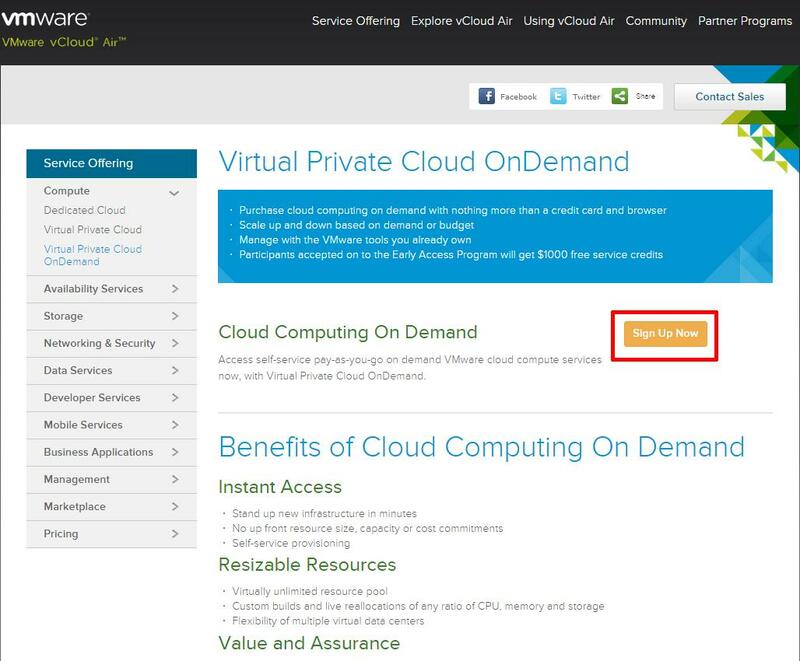 In this article, I’m going to take time out from writing a Basic VMware Article, and show you HOW TO: Create a VMware vCloud Air Virtual Private Cloud OnDemand and receive $1000 free service credits. I previously wrote an Experts Exchange article HOW TO: Create a Windows Azure Free Trial subscription, so it was time to create a new article for VMware's new service, VMware vCloud Air, which was formerly known as VMware vCloud Hybrid Service (vCHS). I've created this article, because I think VMware have made this process more complicated than it should be! After clicking the Sign Up Now button the following web page will be displayed. Fill in the questionnaire, and click Submit. The following web page will appear. 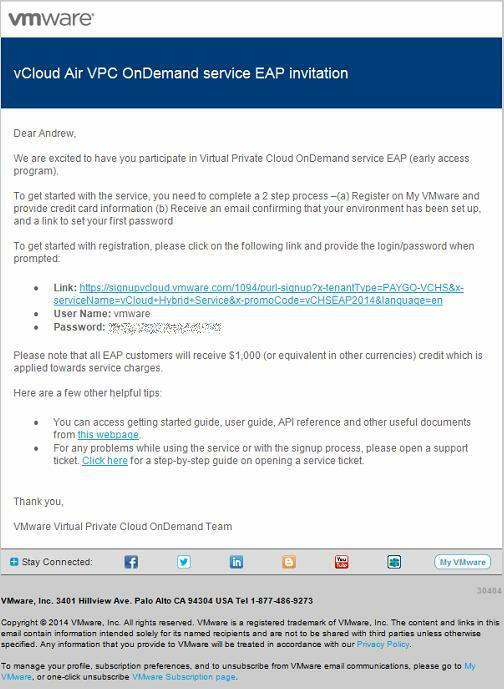 Wait for an email from The Virtual Private Cloud OnDemand Team [vmwareteam@connect.vmware.com], which has the subject vCloud Air VPC OnDemand service EAP invitation. 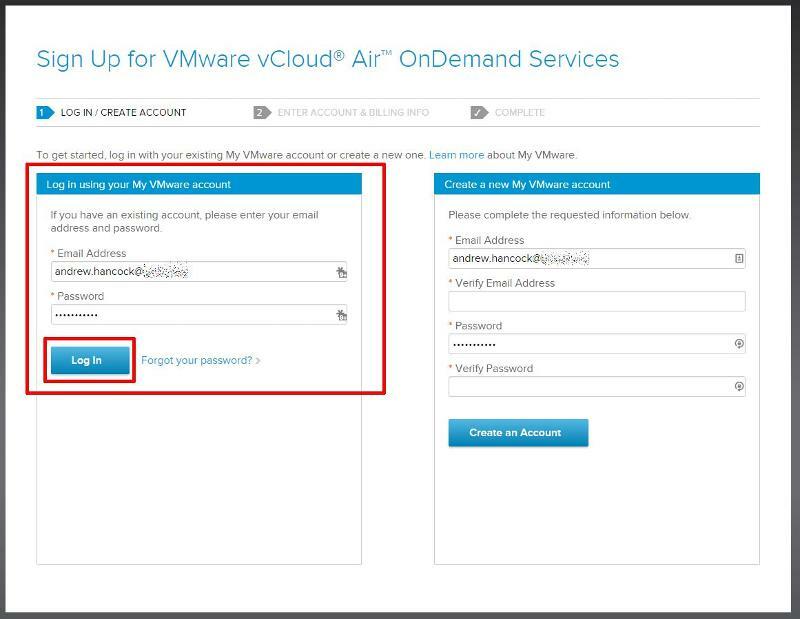 This is where the confusion lies, your *MUST* already have an Active MyVMware account. 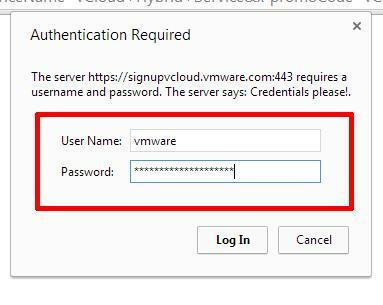 If you already have VMware licenses or evaluation products you already have a MyVMware account. 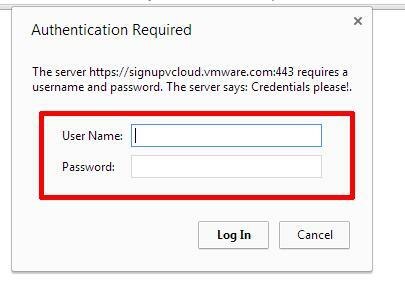 I have written an Experts Exchange article here, which shows how to register for a MyVMware Account Part 1: HOW TO: Install and Configure VMware vSphere Hypervisor 5.1 (ESXi 5.). This is where, I'm going to deviate slightly from the instructions received in the email above. Click the link in the supplied email above. Enter the username and password from the email. 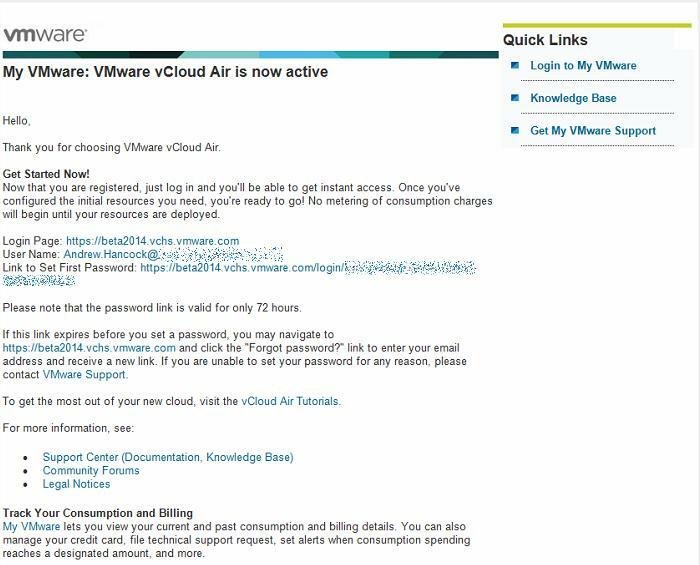 The username is vmware. Click Log In. 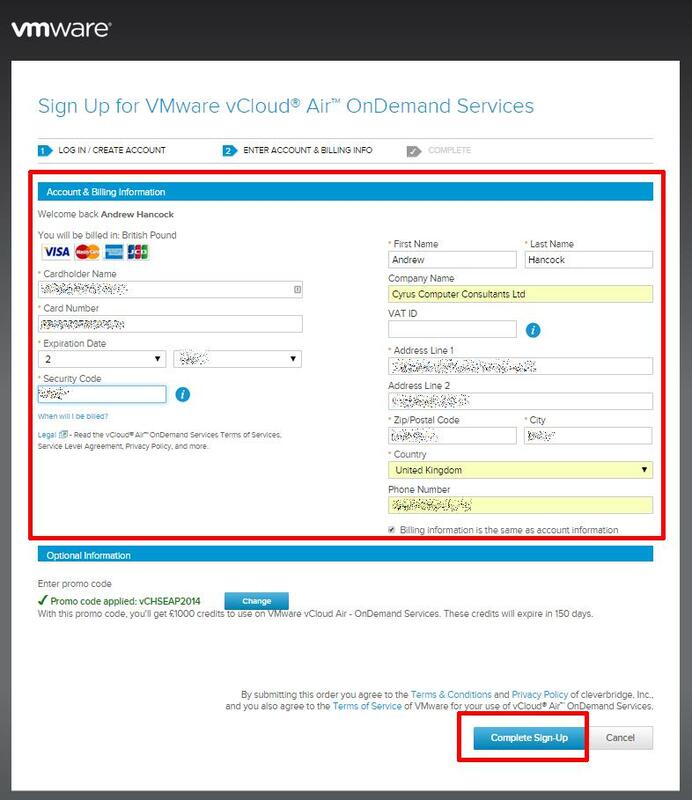 A Sign Up for VMware vCloud Air OnDemand Services page will appear. Login with your MyVMware account details. Enter your billing information, your credit card will only be charged when the $1000 of free service has been used. TOP TIP: To prevent additional charges, stop virtual machines when not in use! You will notice the Promo Code of $1000 free service credits has been added. 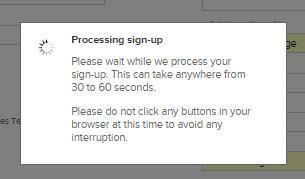 Select Complete Sign-Up to proceed. The following web page, is displayed on a successful sign-up. 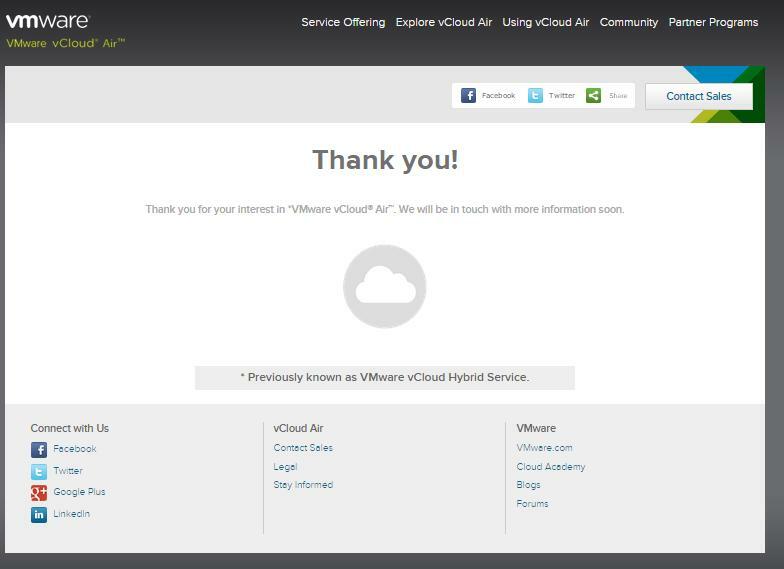 You will receive an email from The VMware Team [noreply@vmware.com], with the subject VMware vCloud Air is now active, with details of how to login to VMware vCloud Air. 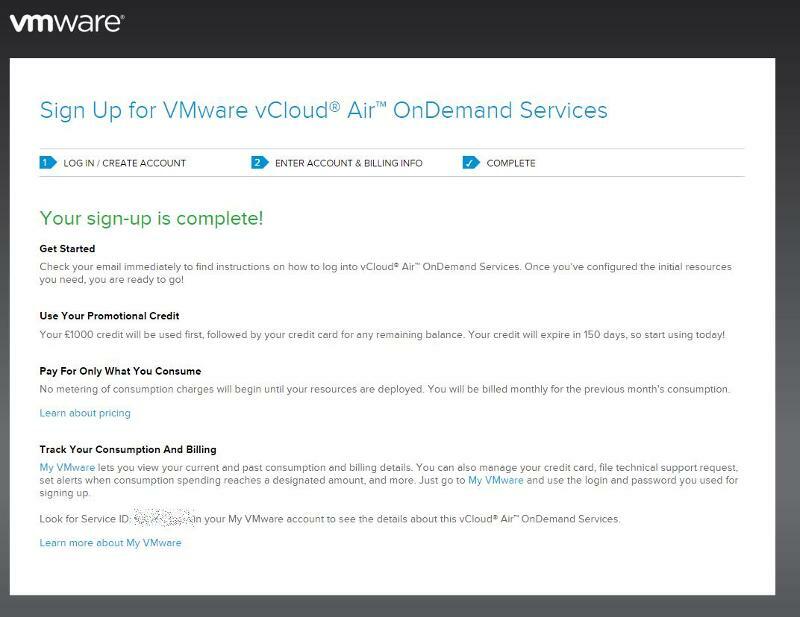 Congratulations, you have successfully created a VMware vCloud Air Virtual Private Cloud OnDemand account and received $1000 of free service credits.